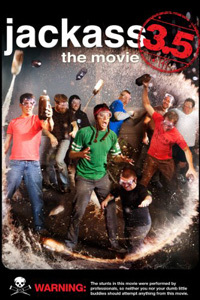 The release of this addition to the Jackass 3D movie was followed with some very shocking news of Ryan Dunn's death after crashing his car. You'd always have thought that one of these guys would meet their end during one of their reckless stunts. We've grown to love these nuts, and now that it has happened outside of their antics, it is no less tragic. With so many outtakes and extra stunts always spilling over, this extra feature length collection of utter madness also includes additional extended scenes and outtakes, a look at the Making Of and more.